You only have one chance to make a first impression, which is why ensuring that the exterior grounds of your premises are in excellent condition is so important. As experienced providers of grounds maintenance and commercial landscaping for a wide range of businesses in and around Hertford, Hertfordshire, we understand the value of providing customers with the premium landscaping and maintenance they need to keep their outside area looking consistently spectacular. We provide a full range of garden maintenance and grounds maintenance services to local schools, care homes and private residences across Hertford, Hertfordshire and the surrounding villages, including Hertingfordbury and Great Amwell. Often our clients contract with us for on-going maintenance, ensuring their grounds remain in top condition no matter what the season. In addition to the regular jobs which are needed, we also offer weather specific tasks such as gritting if required. If you’re not sure what jobs need doing, we’re able to provide a recommended task list based on what our existing clients with similar properties prefer. All our staff are highly trained and have plenty of experience in our field. We take customer service seriously, recognising the importance of professionalism whilst on-site and placing rigorous compliance with all the necessary health and safety requirements at the heart of what we do. As much of our work is undertaken around vulnerable groups (for example the elderly or children), our workforce is particularly aware of the need for care whilst working. Our commercial landscaping services are frequently utilised by clients that want their exteriors transformed into eye-catching areas which are easy to maintain and practical whilst still looking attractive. We can undertake all the necessary work to enable your commercial landscaping project in Hertford, Hertfordshire to become a reality, as well as ensure it’s properly maintained once completed. 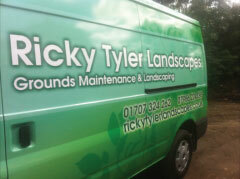 Ricky Tyler Landscapes can provide gardening and grounds maintenance services including Hertford Grounds Maintenance covering Hertford, Hertfordshire . We carry out works ranging from commercial properties including Schools, Offices, Care homes, Retail Parks, Councils and also Domestic properties. 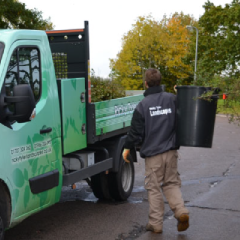 Our services include Grass cutting, Hedge cutting, Litter picking, leaf clearance, spraying services, Gritting and Refuse disposal. Copyrights © 2015 All Rights Reserved by Ricky Tyler Landscapes.